Happy New Year!! Did you make any resolutions yet? Or did you break any resolutions yet?? My 2013 resolutions are to travel more (of course), blog more (of course) and to encourage my creative skills. I already started sewing some tote bags from fabrics I brought home from South Africa. It's amazing when I look back on my No Regrets list from 2011 how many of those items I've actually accomplished. It just goes to show... if you stop dreaming and start writing things down, you will do it! Also, I've been so busy this weekend, I just realized I need a new calendar. 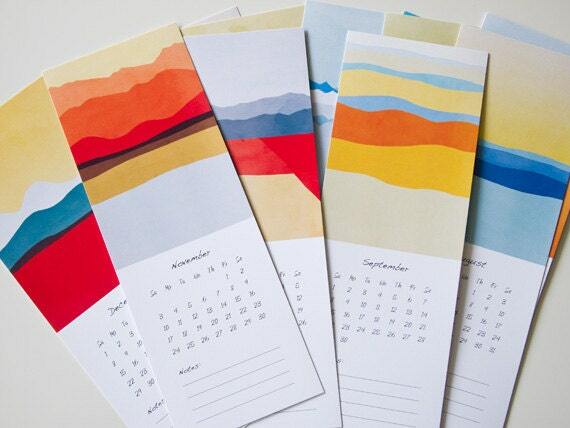 I'm digging this tiny 'Landscapes' 2013 Calendar by Eve Sand. Beautiful!